14 tracks: The Auld Hoose * Strathearn * The Lammie * Lament of The Covenanter’s Widow * Lass of Livingstane * Will Ye No Come Back Again? * The Lass o’ Gowrie * The Rowan Tree * Caller Herrin’ * Charlie’s Landing * The Laird o’ Cockpen * The Regalia * The White Rose of June * Land o’ The Leal. Celebrating The Scottish Year Of Homecoming 2014. Lady Nairne (Caroline Oliphant) was born in 1766 in Perthshire. As she grew and blossomed in beauty, she was called The Flower of Strathearn or The White Rose of Gask. The family had strong Jacobite connections, and some 45 years after Culloden Lady Nairne wrote a number of Jacobite songs including The Laird o’ Cockpen and Will Ye No Come Back Again, both of which have caught the popular imagination. She wrote many other fine songs of which The Auld Hoose, The Lammie, The Rowan Tree, Caller Herrin’ and Land o’ The Leal are especially well known, and continue to be sung to this day by a variety of singers. Lady Nairne died in Gask at the age of 79 years. 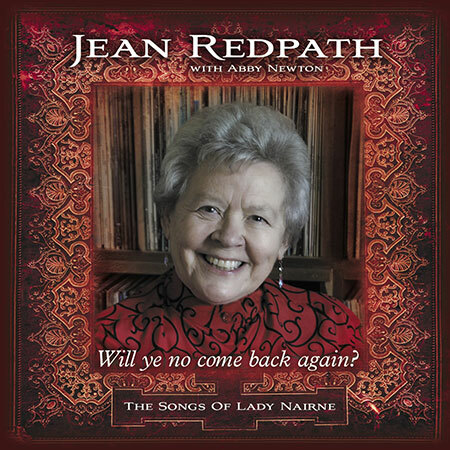 Jean Redpath MBE has carved a remarkable musical career for herself and has become one of the most accomplished and respected Scottish singers, as well as being a household name both in the UK and in the USA where she has spent a lot of her time. Her portrait hangs in The Scottish National Portrait Gallery close to another Scottish legend, Sir Jimmy Shand. In 2008 Jean was inducted into the The Scots Trad Music Awards Hall Of Fame. Jean has recorded or been involved in over forty albums, including a recent By Request compilation from many different sources. She worked closely with the late Serge Hovey for many years on the ground-breaking Songs Of Robert Burns series. This album was originally recorded on the Philo label of Rounder Records, a collaboration with the very talented cellist Abby Newton, with fiddle provided by David Gusakov.